This restaurant’s name comes from the part of the UN’s 1948 Universal Declaration of Human Rights that addresses “rest and leisure.” That’s easy at a welcoming place where everything on the menu feels friendly and familiar: a beautiful burger, chopped salad, roast chicken, calamari, an iceberg wedge. 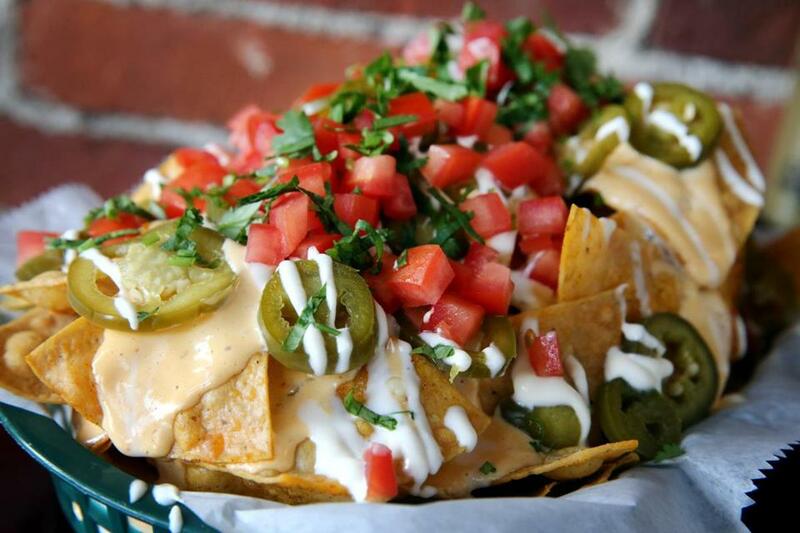 The establishment, a sibling to restaurants including Biltmore Bar & Grille in Newton Upper Falls, has a tequila lounge with snacks in an area downstairs. There’s often a game night and music, plus breakfast on weekends. Not so long ago it would have been hard to imagine such elegant pared-back Italian food on this edge of the South End. Now Bar Mezzana brings serious pedigree to the Ink Block development: The folks behind it are Barbara Lynch alums. Here you’ll find minimal decor with mid-century touches, pristine daily crudo offerings and handmade pasta, and a lively neighborhood bar scene. When chef Jody Adams closed Rialto at Cambridge’s Charles Hotel, the food world mourned. But now there’s reason to rejoice: Michael Pagliarini has opened Benedetto, a high-end Italian restaurant , in its place. Pagliarini earned fans with house-made pastas and warm service at his comfy Porter Square trattoria, Giulia. This slightly dressier version serves pasta, too, plus an array of meat and seafood with upscale touches, like table-side truffles. The sweets also have star power, courtesy of pastry chef Renae Connolly from nearby Cafe ArtScience. Chef Tony Susi of the dearly departed Sage prepares Italian classics in a vast, handsome Southie space lined in wood. Flames leap in the enormous stone fireplace. Copper pots gleam in the open kitchen. Locals mingle at the bar over small plates, kicky cocktails, and carafes of wine. At tables, they share house-made pasta, pizza, and wood-grilled meats. Despite its size, the restaurant manages to feel warm and cozy. The operators of this taqueria understand JP; they also run nearby tapas bar Tres Gatos and Italian restaurant/brunch haven Centre Street Cafe. Here, they’ve created a gently priced, convivial hangout for locals to gather over nachos, tacos, and margaritas. Chef Sean Callahan (Ten Tables) riffs gently on Mexican standbys, stuffing tacos with the likes of smelts or cauliflower in addition to lamb al pastor or carne asada. 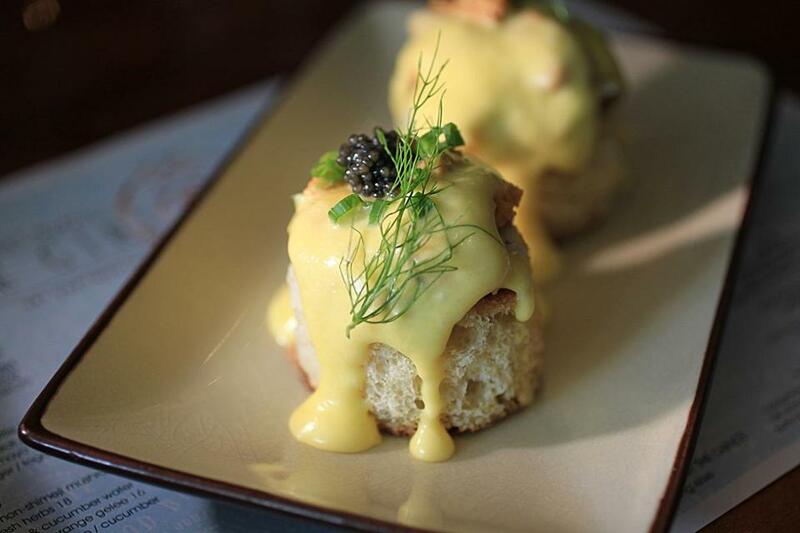 Open until midnight and serving weekend brunch, it is as accessible as it is affordable. These were the year’s top tables, chefs, and trends. Justin Demers and Richard Niedzwiecki know their dough: The duo once worked at Brookline’s Clear Flour Bread, one of the area’s finest bakeries. Now they’ve brought a much-needed restaurant to East Arlington’s sub-shop strip, focusing on crusty tartines, pizza, and other starchy succulents. Begin your meal with a rich poutine dripping in gravy and cheese curds (if you dare), then progress to a craterous pie layered with unusual toppings like roasted asparagus or grilled oranges. 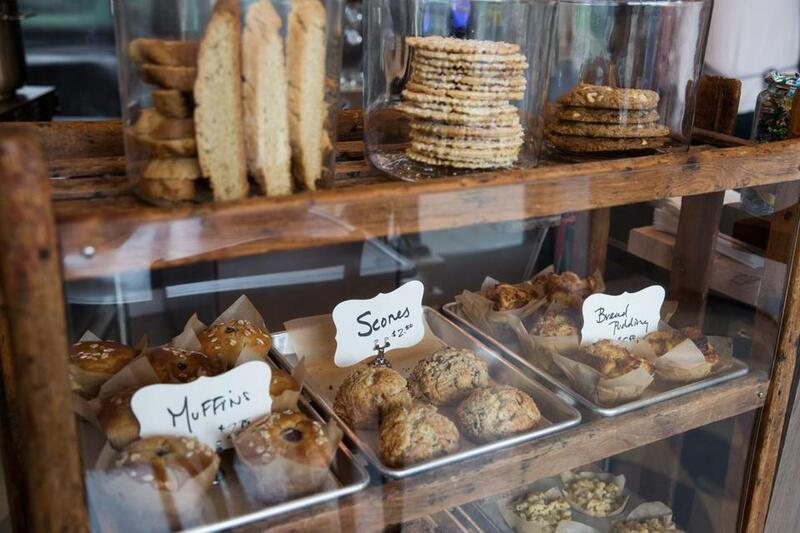 Wash it down with an Italian soda or cappuccino, and buy a loaf of fresh bread for the road. At Dona Habana, a Cuban eatery from restaurateurs Hector and Nivia Pina (Merengue, Vejigantes), dishes are as glossy as the ambience, featuring classic cars and an Old Havana soundtrack. Don’t miss the cumin-kissed pulled pork sandwich, or, for that matter, the ropa vieja—braised and shredded flank steak with red bell peppers, plus black beans, rice, and sweet plantains. With more than 50 takes on the mojito cocktail, you won’t go thirsty. 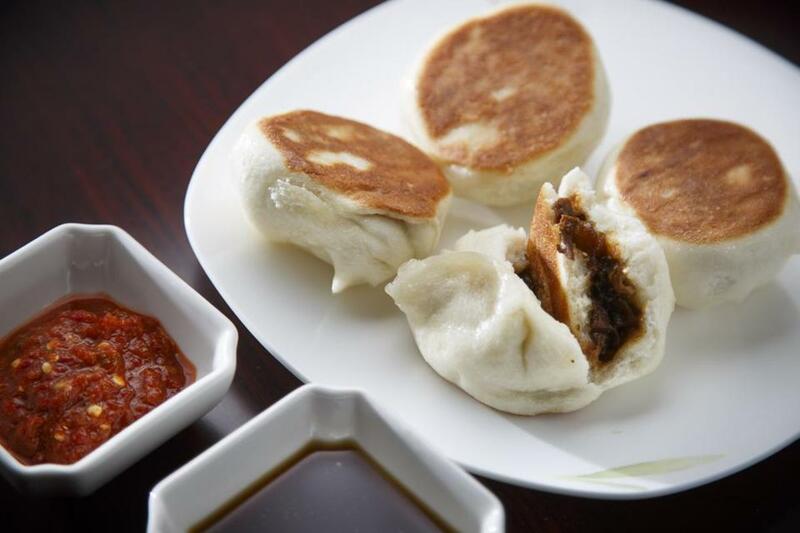 Whether you call them xiao long bao or mini juicy buns, these Shanghai-style delicacies are the undisputed stars at Allston’s Dumpling Kingdom, from the same owners as Chinatown’s Dumpling Cafe and Back Bay’s Dumpling Palace. Plop a gingery pork-stuffed morsel on a spoon, then nibble to release steamy, delectable broth. Round out your meal with chili-spiked dry wok spare ribs, garlicky pea vines, and a Taiwanese oyster pancake slathered with sweet-funky gravy. 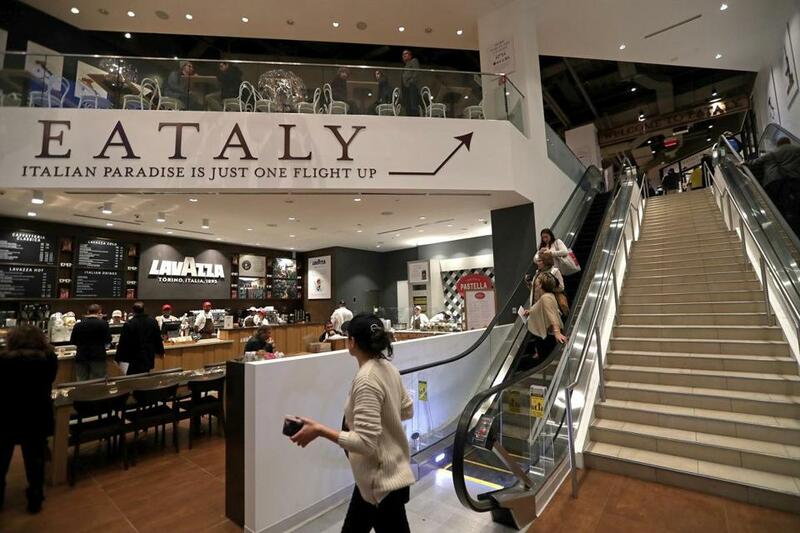 Did Boston need a 45,000-square-foot temple to Italian cuisine, with 10,000 products, four fancier restaurants, 10 casual restaurants, two cafes, three bars, and a cooking school? Maybe not, but the city sure wanted one. The place has been a madhouse since it opened at the end of November. 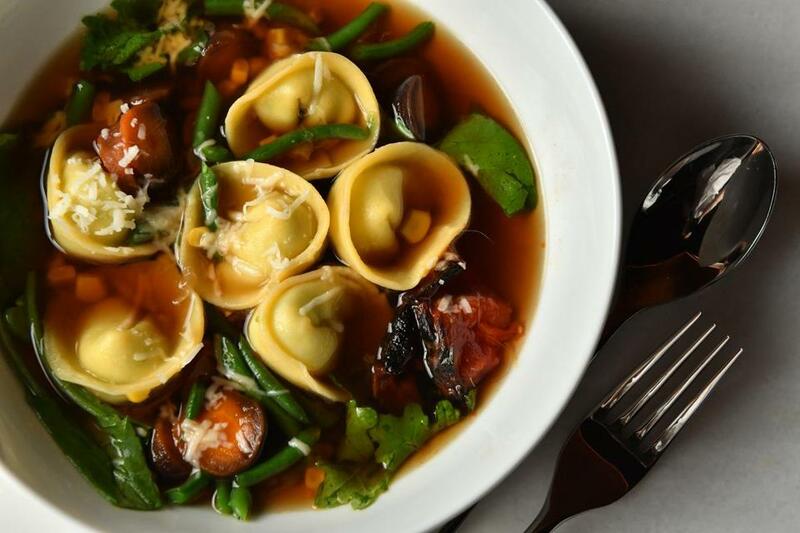 The project, located in the Pru’s former food court, is from a team that includes Mario Batali and Lidia Bastianich and incorporates an admirable array of local goods. Local celebrity chef Barbara Lynch is here, too, heading up seafood restaurant Il Pesce. 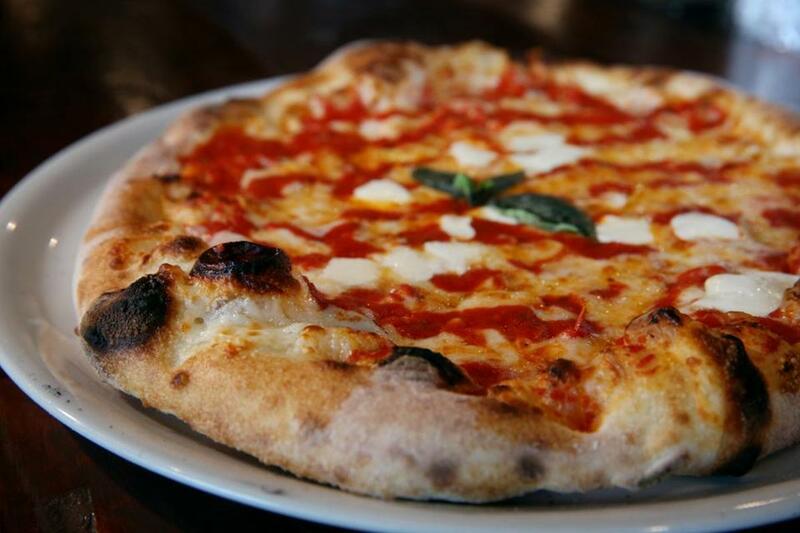 For anyone who loves Italian food (and who doesn’t? ), visiting Eataly is a must. 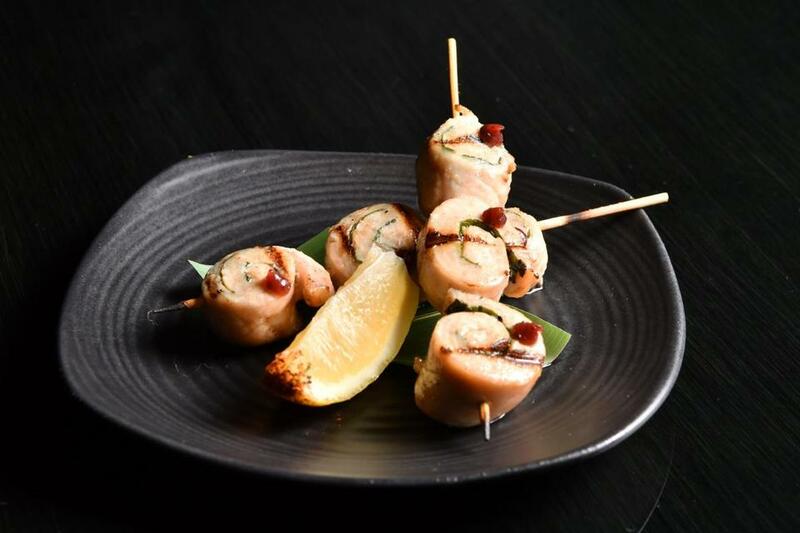 The tapas are tasty at this elegant Mediterranean wine bar and lovely to behold, from roasted beets with dots of citrus to octopus tentacles curled around smears of mustard. But the drinks hold their own, including a cocktail list featuring ingredients such as fig-infused bourbon and “fancy” glasses of wine selling for $30 apiece. When the offerings are so enticing and the lights are this low, you almost don’t notice the price. This East Somerville hideaway delights on every level. There’s the location in a connected room to bustling La Brasa restaurant—the two share a buzzy energy. 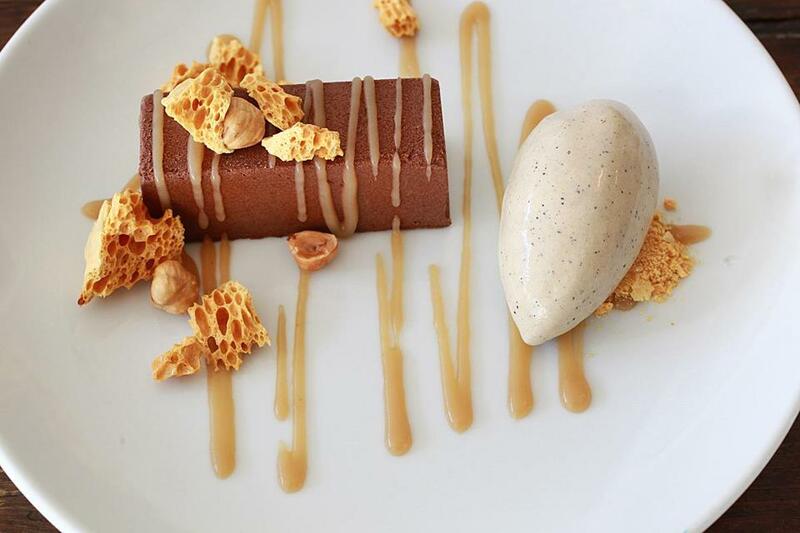 There’s pedigree, since chef Michael Bergin worked at restaurants like Boston’s L’Espalier and Manhattan’s Del Posto. There’s atmosphere, all gauzy candlelight and happy chatter. And there’s the food: rich pastas, like corzetti draped in Cloumage cheese, a swordfish brightened with fennel sofrito, and a $45 four-course tasting menu, one of the finest deals in town. When a tiny wine bar has the courage to serve canned sardines with potato chips, you know you’re in for offbeat treats. Haley Fortier, who worked at Sportello, will open any wine in the Downtown Crossing place as long as you’re good for two glasses. Besides the sardines, you can get outrageously tasty canned tuna from the Azores, smoked oysters from the Pacific Northwest, and meat and cheese platters. Service is flawless. The Viet-Cajun-style seafood boil hit the Boston scene with force in 2016. Try Holly Crab once and your love affair with poor steamed lobster will be history. Ask for what’s fresh, not frozen, then prepare to dig into an insanely delicious bag of crabs (or shrimp, clams, mussels, crawfish, lobster) afloat in a sea of butter, garlic, lemon and a melange of top-secret Cajun spices. Ideally, it’s all best shared with a gang of friends. The city missed Pino Maffeo, the talented chef who won a following at the inventive Restaurant L, among others. Now he reappears at Il Molo in the North End, focusing on seafood with an Italian accent: tender octopus and prawns a la plancha; lobster fra diavolo and linguine with clams; cod with clams, chorizo, and white beans. The subterranean space, all sparkling white and Mediterranean blue, has a fireplace fronted by armchairs and a bar dispensing well-made cocktails. 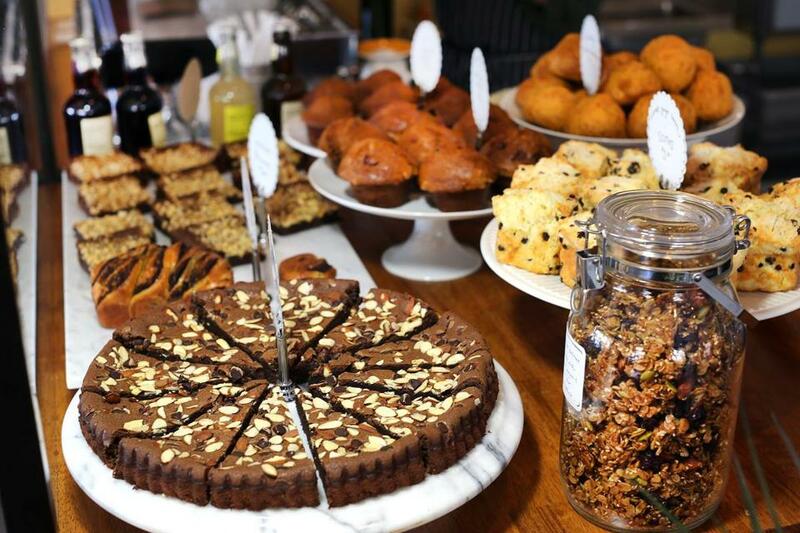 This light-filled cafe outside Union Square offers breakfast and lunch during the week, brunch on the weekends, and prix fixe dinner Thursday through Saturday nights. 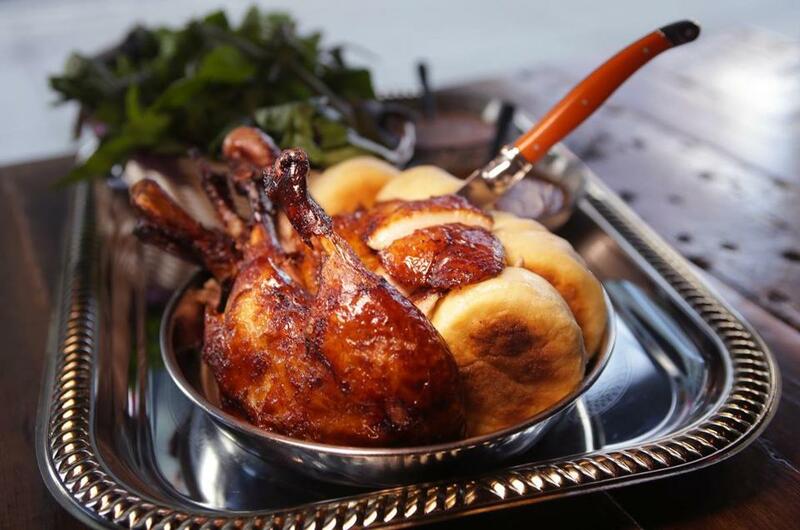 The sophisticated food, such as a dinner of roast chicken with herb crepes, wild mushrooms, and truffles, with tarte Tatin for dessert, is by chef and co-owner Josh Lewin. Co-owner Katrina Jazayeri runs the dining room, wine list, and cocktail program. The place looks like hipster Somerville, but European elegance is on the plate. This neighborhood wine bar—all whitewashed bricks, reclaimed wood, and nautical touches—looks like it was picked up in Greece and reassembled in the South End. That’s because much of the decor was imported, as is much of Kava’s wine and the ingredients that make up its bright, small plates. Look for spanakopita, stuffed cabbage, lamb meatballs, and a horiatiki salad that tastes of summer and salt air. Neighborhood families, ladies who lunch, hipsters who drink, construction workers on break—everyone’s welcome at this jampacked Asian diner from the team behind nearby Sycamore. 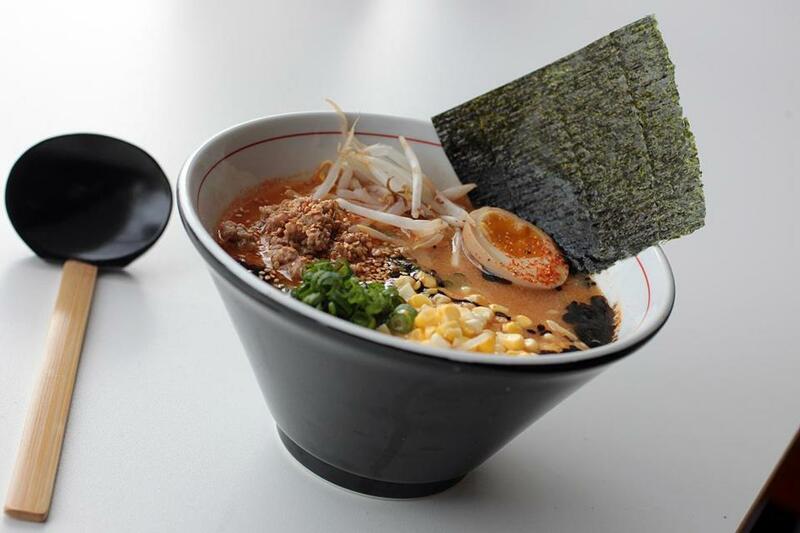 Get in line early for massive bowls of ramen, spicy-sweet rice bowls with sunny-side eggs, and grilled shrimp salad buns that would put any family picnic to shame. Drinks get equal billing: One yuzu margarita and you won’t want to go back to work. Superstar chefs Jamie Bissonnette and Ken Oringer concoct global tapas at this groovy Central Square restaurant. The rollicking menu reads like gourmet mad libs: foie gras bratwurst, black pepper popovers, lettuce wraps stuffed with lamb bacon—trust us, it works. But the surprise hit is the highbrow-lowbrow breakfast, which caters to students (egg sandwiches with “yellow cheese”) and discriminating gourmands (miso banana bread with habanero sausage). Service is fast; the room is pleasantly noisy. This revived Dorchester spot co-owned by Dropkick Murphys frontman Ken Casey doesn’t put on airs. There’s hockey on TV, battered pots and pans hanging outside the kitchen, and White Stripes on the stereo. But alongside the pizza and burgers, sophisticated surprises pop out, such as roasted kabocha squash with Greek yogurt and cascabel romesco sauce. With well-crafted cocktails in the mix, it’s worth becoming a regular. 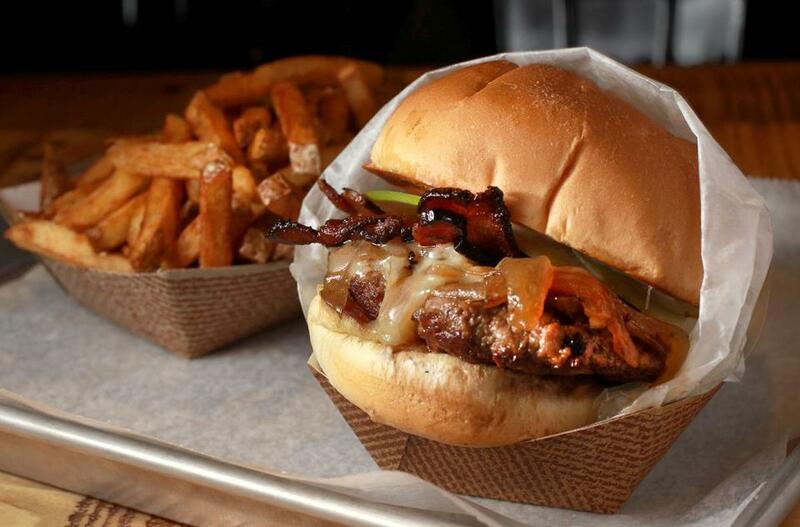 Central Square’s got everything from tacos to dosas, but sometimes you just need a good old-fashioned burger. This Maine food truck-turned-restaurant does them very well — or rare, if you prefer. Go simple with American cheese and lettuce or get frisky with maple mayonnaise or fried eggs. Not in the market for a burger? There are juicy all-beef hot dogs, plus offbeat fast-food sides like Brussels sprouts and fried cauliflower. For dessert? A frappe, of course. For you, a little treat: a slice of Manhattan in the heart of Kendall Square. 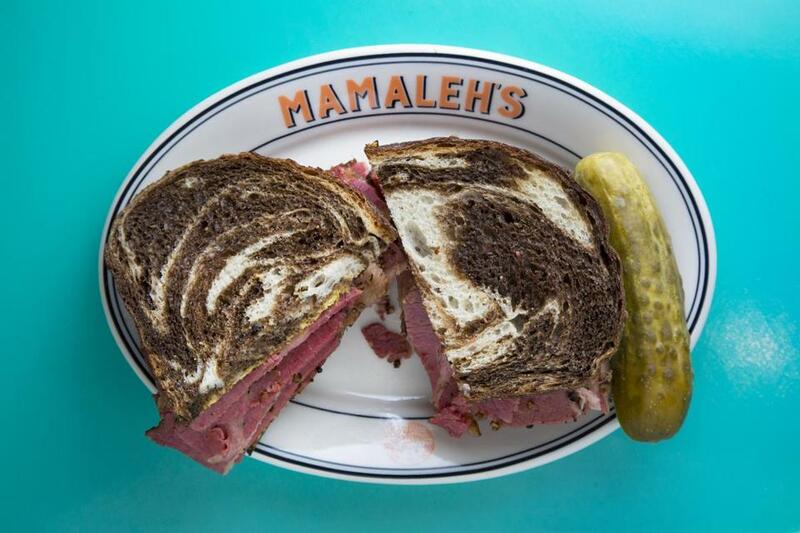 Mamaleh’s, from the team behind State Park and the much-loved, now-closed Hungry Mother, churns out soul-warming matzo ball soup, heaping pastrami sandwiches, and an all-day breakfast with kippered salmon and smoked sable. “Mamaleh” is a Yiddish term of endearment for a young child, but kids and adults alike will feel at home here, thanks to unhurried service and delicious chocolate egg creams. They take reservations. 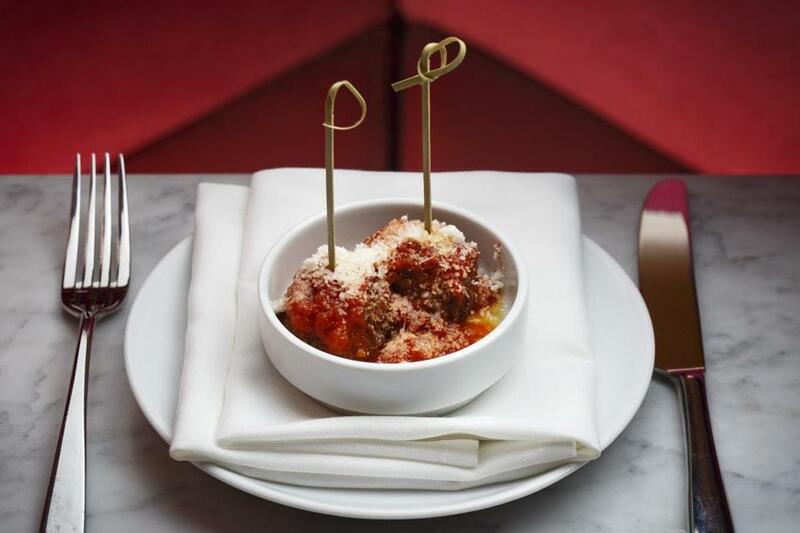 This year, the South End saw an influx of reasonably priced Italian restaurants that manage to feel special. The latest is Mida, where chef Douglass Williams offers a menu of cleverly flavored small plates (lamb ribs with Luxardo, dill, and ginger), elegant handmade pasta dishes (maltagliati with pumpkin, pistachio, and apples), and larger plates for sharing (duck breast with turnips, almonds, charred leeks, and quince). The hospitality is warm, the staff attuned to details. This counter-service joint is a haven for Tufts students (and their neighbors) who yearn for more than subs or pizza. Mint sells Indian and Nepalese street foods, like steaming bison dumplings doused in smoky sauce, perfect for post-work snacking or late-night binging. Their kati rolls—egg-dipped paratha bread stuffed with savories like curries and vegetables—make the perfect strolling snack. The friendly folks behind the counter love giving recommendations and seem genuinely glad to be there. You will be, too. Artur and Sandra Andronic are natives of Moldova, located between Romania and Ukraine, and their warming food resembles rustic farmhouse fare: cabbage and potatoes, thick soups, and fresh cheeses. Chicken soup comes with homemade noodles, and little juicy stuffed cabbages and grape leaves are mounded on the plate. A crisp fried savory or sweet pastry called placinte la tigaie is the specialty of the house. What an exhilarating addition to Inman Square: a toasty brick-walled sanctuary for sumptuous Eastern Mediterranean small plates with thoughtful touches, like house-made butters and marmalades. (“Moona” is an Arabic translation of the word “pantry,” and the menu showcases dishes enlivened by Arabian pantry staples.) Servers are helpful but unhurried—and they bear beautiful yet nourishing plates, like Brussels sprouts with barberries and tahini and raisin-studded couscous, that inspire sharing. An offshoot of the San Francisco restaurant of the same name, Pabu comes to us from Michelin-starred James Beard award winner Michael Mina and Ken Tominaga. It’s a place of dim light, orchids, flickering candles, and Japanese design elements: a wooden structure reminiscent of a temple gate, a gold wall painted with cranes. The sushi bar serves up pristine raw fish, and there is a range of small plates that riff on izakaya classics, with the sake list to match. If you’re not in the mood for tempura or lobster okonomiyaki, there are luxurious butter-basted steaks to be chased with Japanese whiskey. You half-expect to run into Bill Murray and Scarlett Johansson at the bar. 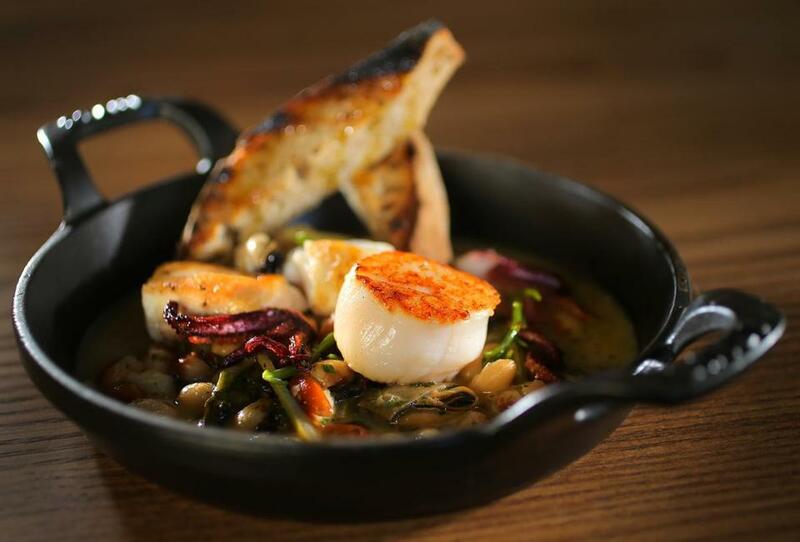 It was a big year for Mediterranean seafood, and it was a big year for Jody Adams. The chef left her longtime perch at Rialto in Harvard Square, opening Greek sandwich shop Saloniki and new upscale spot Porto, a bright space with clean lines in Back Bay. Porto’s flavors are bright, too: kale, squash, and apple salad gets crunch from granola spiked with Egyptian spices; fluke crudo meets blood orange and Calabrian chili; lobster raviolo comes with sea urchin and cauliflower, tinged with curry leaf. Change is good. 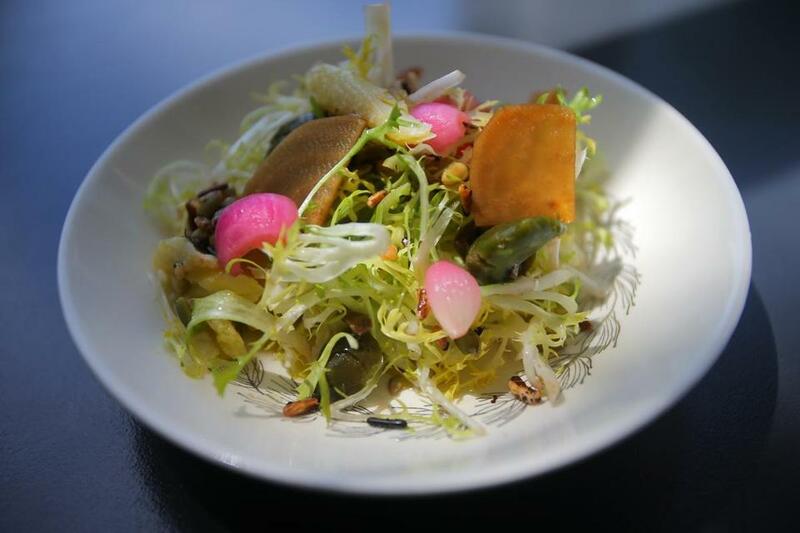 Acclaimed chef Rachel Klein (Liquid Art House, Mandarin Oriental) turns her attention to her home turf of Needham with this sleek spot designed to draw regulars. Watch the chefs hustle in the open kitchen from ringside seats at the bar as you eat comfort food with just a bit of edge: charcuterie plates, root beer-braised pork belly with Sichuan cabbage, arctic char with brown butter parsnip puree, rotisserie chicken. Because suburbanites deserve stylish hangouts as much as city dwellers do. Ron Suhanosky is a James Beard award-winning chef who opened a charming closet of an Italian-style cafe on The Street in Chestnut Hill. Seating consists of one large table. His stunning pastries — some from his great-grandmother’s recipes — sit inside an antique etagere. A panini press gets a good workout here with 10 kinds of sandwiches, including Nonna’s Meatball Panini, as does the stockpot, filled mostly with Italian recipes that include beans, farro, spelt, and greens. 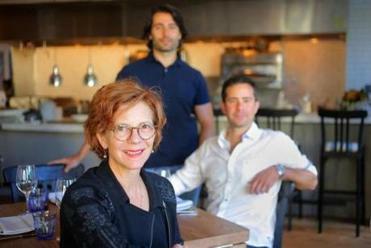 The place opened as a pop-up but turned out to be so popular, Suhanosky is staying put. You’re moving along a counter in this Greek-inspired spot in the Fenway—there’s a sneeze guard between you and the food—explaining to a server what to put into your flatbread. Considering the cafeteria-style setup, you may not be expecting anything to be particularly good. Well, you’re in for a surprise. From the beautiful breads that you can watch being made to the flat Greek fries to the lamb meatballs, this food is nicely made and priced right. The team behind the place, Jody Adams of Trade, Jonathan Mendez, and Eric Papachristos, just opened a second location in Cambridge. This sunny space overseen by the MET Restaurant Group’s Kathy Sidell exudes warmth and good cheer, from the smiley bar staff to the bright blue-and-orange tiles along the walls to the crowds of customers, all of whom seem to be celebrating something. It’s also a haven for every type of seafood imaginable, from preserved to fried. Request tins of anchovies or sardines from Portugal or Spain, then dig into heftier indulgences seldom spied elsewhere: uni toast, caviar dip, fried lobster with waffles. You’ll leave a bit heavier, and poorer, but happier for sure. Authentic regional Chinese cuisine? Check. Hip, inviting atmosphere? Check. Tsingtao and white wine to wash down the savory Shanghai pork buns and Sichuan-style fried chicken? Check. There is a reason the line often snakes out the door of this popular Central Square spot. Bring bao purists, fried rice-and-beer types, and those who need a little ambience to appreciate the slurp of a soup dumpling. Everyone leaves satisfied. Sure, it’s set in a bland strip mall, and the decor isn’t much, either. 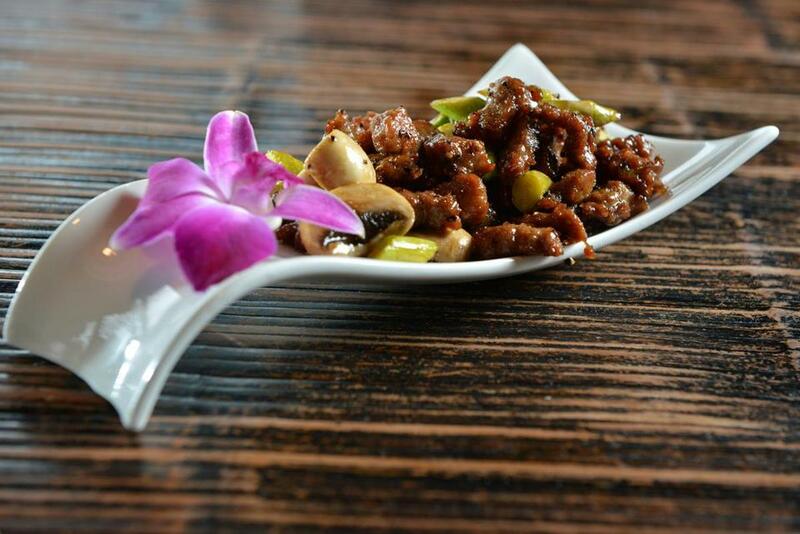 But looks are deceiving: This new jewel, with other branches dotted throughout the burbs, serves tongue-tingling Sichuan dishes that top any city rendition. Order from the “delicacies” section, where you’ll find beef tendon in spicy wonder sauce—a numbing coating of heat—and green bean jelly in spicy sauce. Servers will recommend personal favorites and diplomatically steer you from items that could ignite tamer palates. 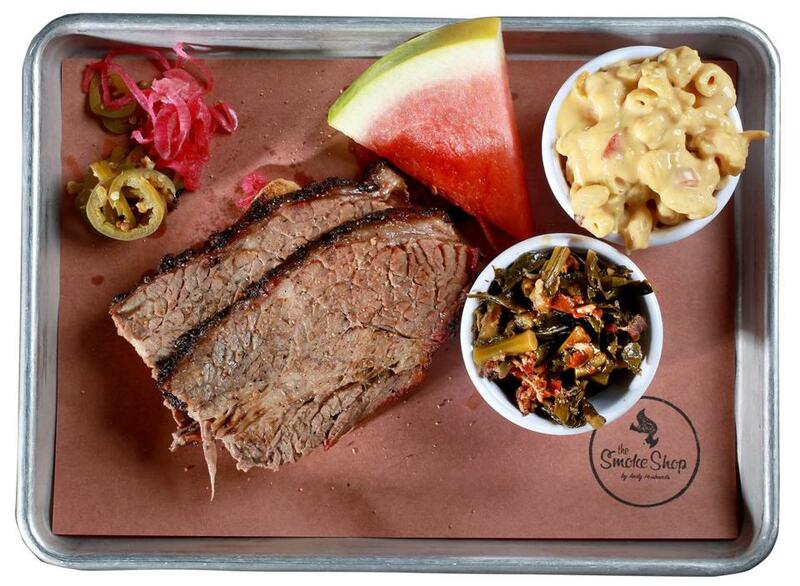 Barbecue maven Andy Husbands brings Kendall Square down to earth with The Smoke Shop. No fuss, no frills, but a few happy surprises. 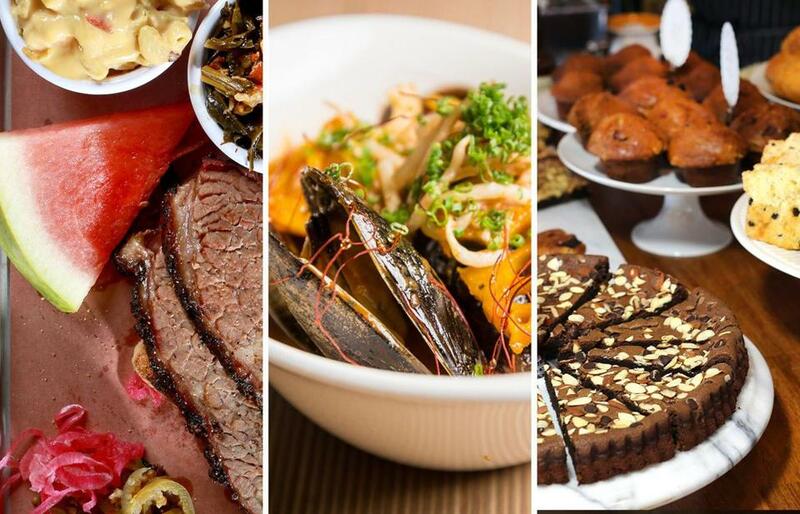 Sure, there’s mac-and-cheese, pulled pork, and ribs served on silver trays — but Husbands also mixes things up with Asian flavors, like prime brisket with Korean vinaigrette and Thai-inflected fried chicken. Prices are surprisingly reasonable, too: At $9, a husky hot links and pimento cheese sandwich with a side (like collard greens) just might be the best deal in the neighborhood. Affordable Italian? In the South End? It’s true, thanks to SRV, helmed by chefs who’ve cooked at Mario Batali’s Del Posto in New York and L’Office in Paris. This brick-walled Venetian wine bar is the kind of place first-daters dream about, a foolproof little spot for a glass of wine and affordable small plates like quail eggs and olives. If things are going well, stay a little longer and linger over larger — but still budget-friendly — portions of monkfish, tuna belly, or squid. No heavy sauces or heavy upsells, just honest cooking at fair prices. Stoked first won fans as a food truck, but is now earning a more permanent place in our hearts as a brick-and-mortar setup. It’s so friendly—to families, to everyone—it could get away with serving food that was merely good. But the Brookline restaurant turns out blistered, perfectly chewy pies that will knock your socks off. The adults will appreciate the well-made cocktails and smart beer program. At this toasty 20-seat North Cambridge nook, servers deliver complimentary treats like sourdough bread with house-cultured butter and peanut brittle to long wooden tables. Unwind over a four-course menu by Top Chef contestant Carl Dooley, who often presents the seasonal plates himself with chummy commentary. Pumpkin ravioli? Slow-cooked pork belly? 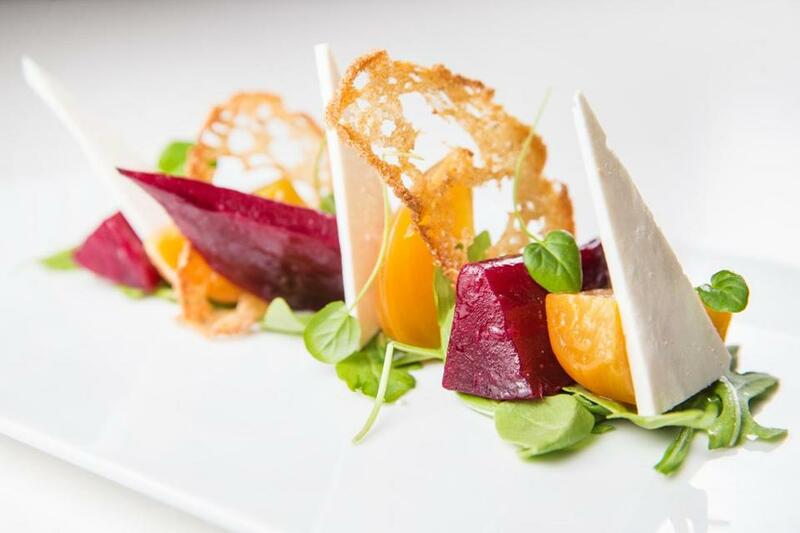 The menu changes regularly, but the atmosphere and quality never falter. From a husband-and-wife team with serious hospitality chops — Meghann Ward (Coppa) and Kevin Walsh (Clio) — this labor of love features two concepts in one. One room, the casual Expo Kitchen, focuses on gorgeous wood-fired pizza. The other, the Club Room, is a swank lounge with decor inspired by Havana and food infused with the flavors of the world: Sichuan bouillabaisse, squash cappelletti, braised short rib with cabbage, sour cream, and horseradish. It’s the perfect spot to go low or high in the Fenway. Tiffani Faison (of Top Chef and Sweet Cheeks) and her wife, Kelly Walsh, fell in love with the food of Southeast Asia while traveling in the region. So of course they came home and opened a restaurant celebrating the dishes and flavors of Thailand, Vietnam, Singapore, and beyond. It’s not just the bright, spicy, pungent delights of chili-spiced short rib crudo with fresh herb salad, clams in red curry with sticky milk bread, and coconut-marinated mini chickens that make Tiger Mama shine. It’s the joy that animates the place. A range of tiki cocktails and dim sum-style service on Sundays don’t hurt either. A glimmer of Paris comes to suburbia in the form of this lively counter-service cafe, tucked away in Lexington Center. The blissful buckwheat crepes — available gluten-free — are stuffed with the traditional sweet toppings like Nutella and berries, but the savory offerings, like salmon and ratatouille, truly set this shop apart. It’s a delight even if you’re not in a crepe mood: Opt for French classics like onion soup, beef bourguignon, or brioche rolls from Iggy’s Bread. Sometimes the remake is even better than the original. Eliot Hotel restaurant Clio had a great run. But when it closed and Uni expanded from subterranean sashimi bar to full-fledged, above-ground status, it was Boston’s gain. The sushi program, helmed by O Ya alum Akira Sugimoto, is as strong as ever. 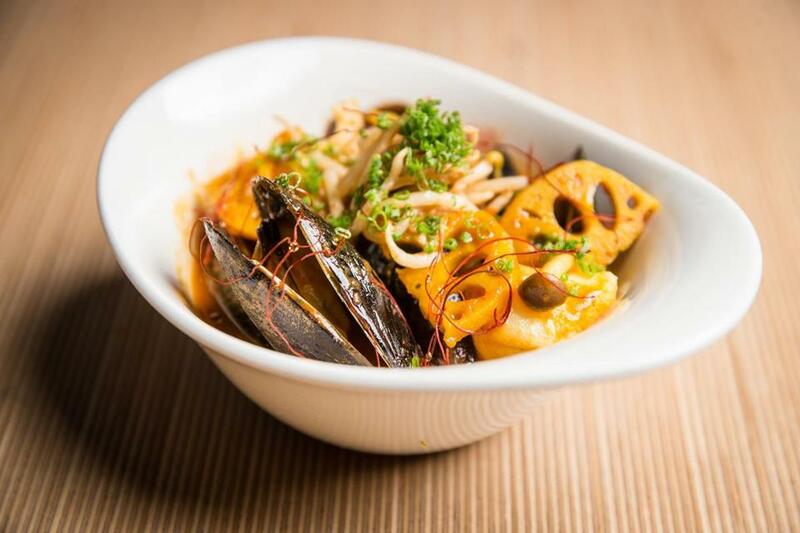 And chefs Ken Oringer and Tony Messina have conceived a kaleidoscopically brilliant menu of irresistibles — Vietnamese Spam musubi, wagyu beef dumplings, whole roasted lobster with Singapore black pepper glaze, the eternally craveable buffalo mentaiko spaghetti. There’s a clever cocktail menu to match, along with an impressive sake list. Michael Scelfo’s snug, subterranean Alden & Harlow is where you might take your family to catch up over grilled carrots or pickled corn pancakes. His Waypoint, down the block, is darker, heartier, and moodier — the place you might whisk a date. 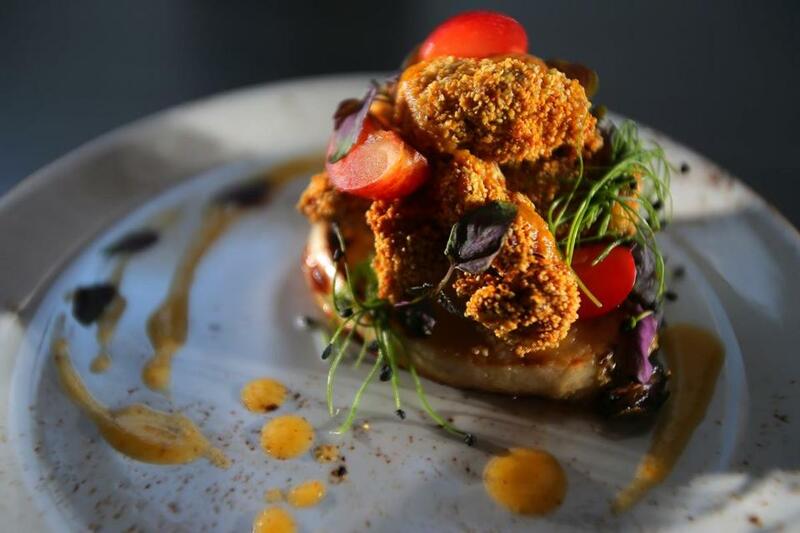 Split caviar service or a platter of oysters, marvel over the unusual pizzas (Pig’s Face? ), and let an array of absinthe cocktails keep conversation gliding right along. Aim for a seat near the windows at the dining room’s edge and you’ll feel as if the place is all yours. 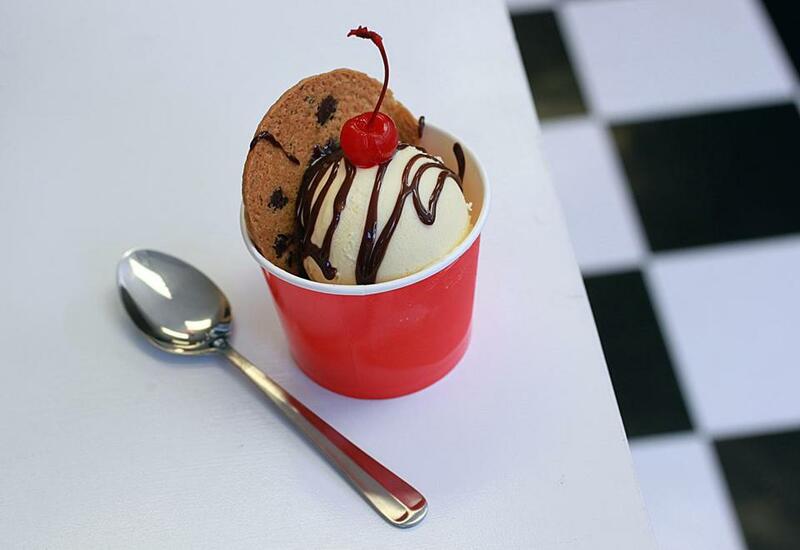 SWEETS AND ICE CREAM TREATS . . .
After running an ice cream delivery business and selling at farmers markets, husband and wife Rory Hanlon and Kristen Rummel opened scoop shop Honeycomb Creamery in Cambridge. Rummel uses local dairy and her own base that she pasteurizes in-house, and she churns inventive flavors like black walnut cardamom, smoked orange marmalade with goat cheese, and grapefruit rosemary sorbet. Everything is made from scratch, even gummy bears, candy canes, and other mix-ins as well as the Liege waffles, a perfect canvas for a scoop on a chilly day. In home.stead, Fields Corner denizens get a lovely spot to eat baked goods, breakfast burritos, salads, and creative sandwiches while sipping tea and coffee. The cozy space is painted in golds and grays, with plenty of warm wood and brick accents; the walls are decorated in works by local artists. But home.stead is more than just a place to eat. It’s a social hub for the neighborhood, hosting everything from yoga classes and its own book club to tea-tasting parties and bike-repair workshops. Bagels taste better when served with a sense of community. 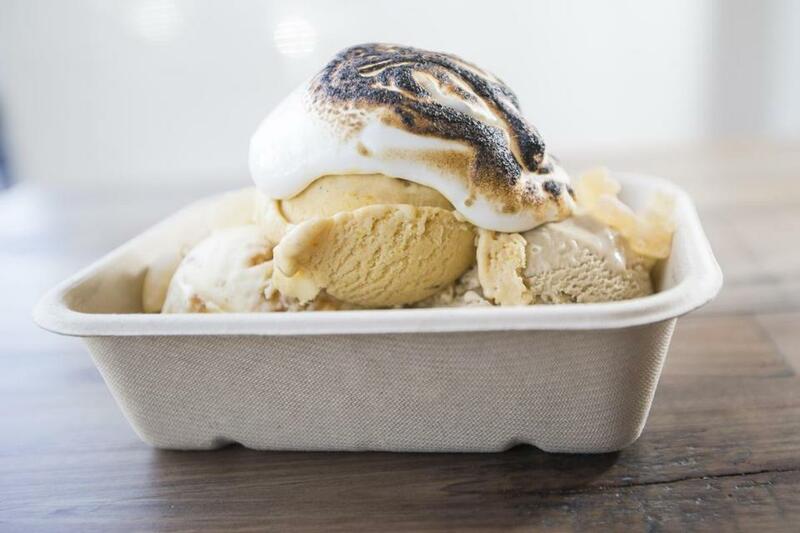 Scooping is so last year at this tiny high-tech ice cream shop in Allston, where liquid ice cream base is poured onto a frozen surface, chopped, scraped, spread, and then rolled into gorgeous frozen spirals. This Thai invention appeared in Boston in August, lighting up Instagram and creating lines out the door. Five base flavors and 20-plus mix-ins, toppings, and sauces mean tons of combinations. For the indecisive, there are 10 suggested combos on the menu, including Matcha Lady and Key Lime Pie. Regardless of how many toppings you choose, a bowl runs $6.95 plus tax. Owner Nobuko Maruyama worked at Japonaise Bakery and Cafe in Brookline. This year she opened her own shop in Newton next to Sea to You Sushi, a little taste of Tokyo on a quiet stretch of California Street. You’ll find Japanese favorites such as the fluffy white bread called shoku pan, buns filled with red bean paste, and curry rolls. But Maruyama has range, particularly when it comes to bread: She makes baguettes, rye loaves, French country bread, and more. And there are several kinds of croissant alongside brownies, green tea cheesecake, and seasonal items like stollen. After launching her frozen treat at farmers markets, Anna Gaul last spring opened Tipping Cow Ice Cream in Somerville, where she churns ultra-dense intense flavors like blueberry ginger and bourbon caramel. Gaul studied pastry, and the training shows — she often swirls in cooked fruits reminiscent of pie fillings. The peach and brown sugar is rich with pureed peaches; strawberry cheesecake has cooked strawberries. The scoops are all served in red cups with a logo of an off-kilter cow that Gaul drew herself. Best of the New 2016 contributors: Diane Bair, Kara Baskin, Ellen Bhang, Karen Campbell, Marisa Dellatto, Gary Dzen, Perry Eaton, Devra First, Jan Gardner, Patricia Harris, Emeralde Jensen-Roberts, Katie Johnston, Sheryl Julian, Marni Elyse Katz, David Lyon, Dan Morrell, Rachel Raczka, Melissa Schorr, Catherine Smart, Shira Springer, Tina Sutton, Denise Drower Swidey, Ann Trieger Kurland, Ted Weesner, and Pamela Wright. Send comments to magazine@globe.com. Follow us on Twitter at @BostonGlobeMag. This story has been updated to reflect the current status of Japonaise Bakery and Cafe in Brookline. It is open for business.